Hi Friends! Today is like the best day ever! You know why? 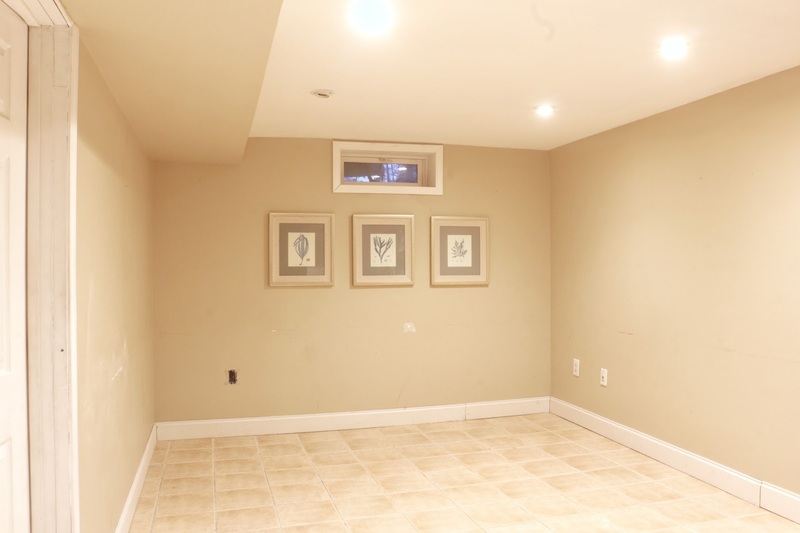 Because I get to share with you my cozy basement reveal! 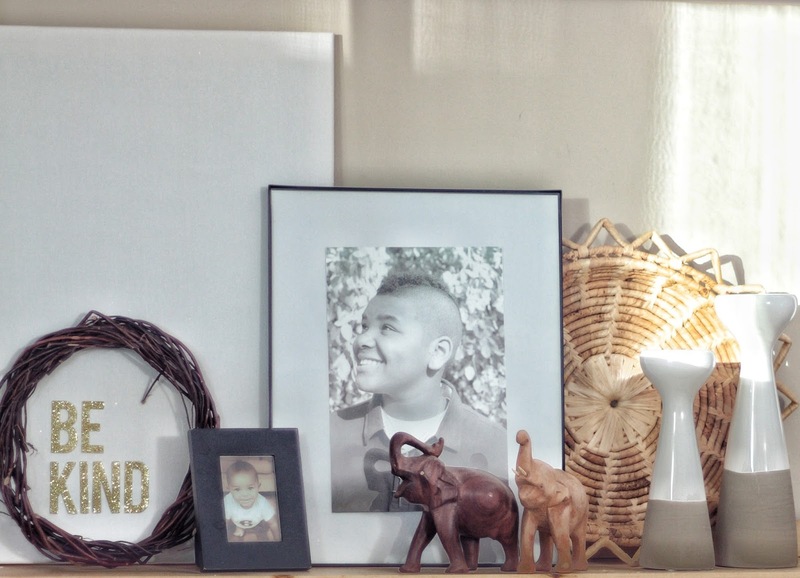 If you are new here, you can catch up here where I shared the history of our basement and all about how I am lucky enough to have partnered with Raymour and Flanigan on this makeover. For our basement we chose the Artemis II 3-pc Microfiber Sectional in Gypsy Vintage. It's the most beautiful gray color, with tanish-brown undertones, perfect for my fellow neutral loving friends! Our hope for this new family room space was that we would all be able to hibernate down here in the winter months, binge watch some Netflix series and gather around to play board games or a good round of charades. Also to have a space for my older kids to gather with their friends. With all of that in mind, we were sure to choose a sofa that would be easy to clean and on top of that---we made sure to take advantage of Raymour and Flanigan's 5-year Platinum Protection plan which provides cleaning, protection and repair service--with 4 kids, we couldn't have signed up for that faster! This makeover was majorly needed so I thank Raymour & Flanigan for their help in getting this started! Okay, I know I've yapped enough . . . let's get on with more of the pretty! When the sofa was delivered-just 3-days after our Raymour & Flanigan date night, my husband had it placed in the living room because we weren't quite ready for it in the basement. But the minute my husband and son brought it down . . . it was instantly more cozy down there. It's like it was meant for our basement. Like perfection! 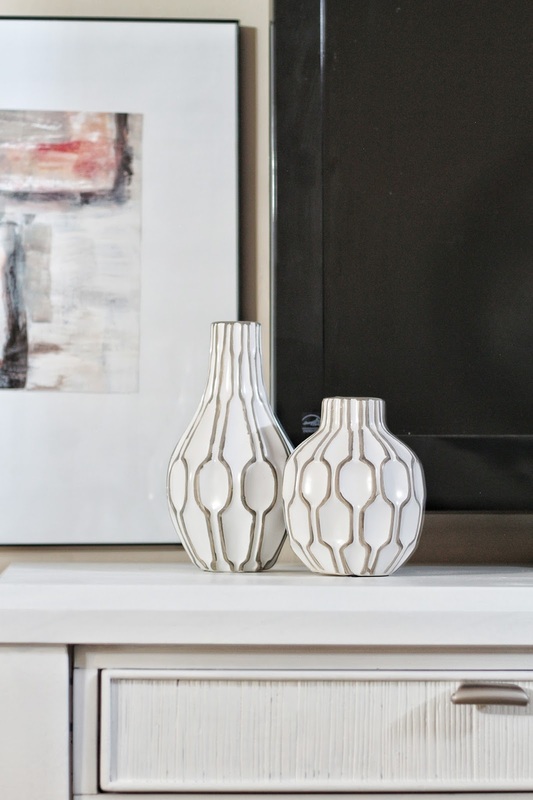 Since this was another budget friendly update, rather than painting the whole basement, we just bought some paint samples and touched up the existing neutral paint color and I shopped the house for most of my decor items. The DIY shelves were a great way to fill up a long wall, and I love that I can easily add or take away any decor as I feel necessary (and I'm pretty sure I went a little overboard with accessories because I was so excited, but I will definitely fine tune it as I go) I will be sharing a tutorial for these shelves very soon, so be on the lookout for that if you are interested. The TV was placed on a thrifted console that my husband painted for me, and works perfectly to house extra pillows and a basket of magazines and blankets. You all know I love a gallery wall, so I added another behind the TV like in the upstairs living room, but this time more structured and less sporadic. This gallery wall is made up of inexpensive 16x20 format frames, and a $3 poster I bought at the craft store that I cut up and "matted," I'll be sharing that tutorial soon as well. 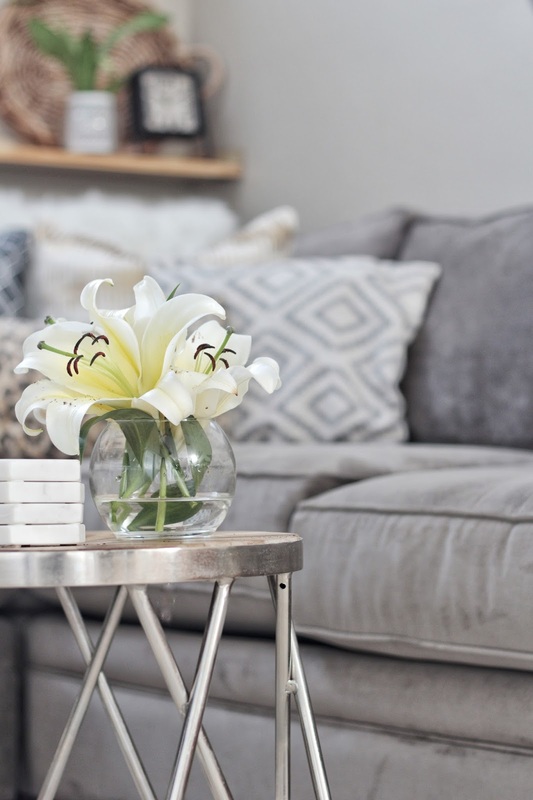 I really love the mix of metals and neutrals in this space, the natural wood tones with white and cream, along with the grays ---it's just really soothing to me. These tables were originally bought to go in our upstairs living room, but when I brought them home, I new they would look beautiful with my new sectional, and they really set the tone for the entire space. 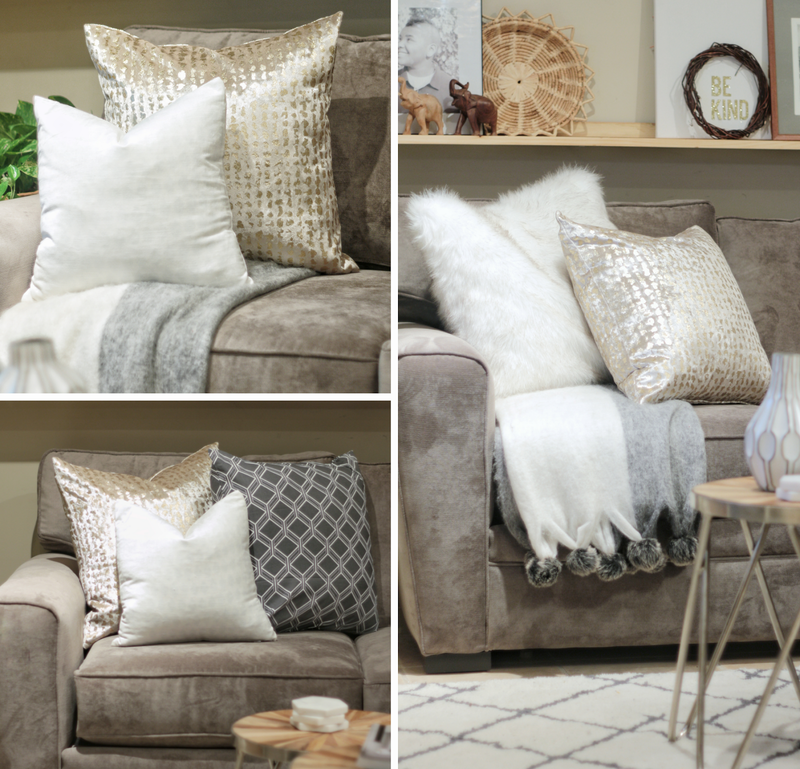 Although the Artemis II sectional came with 3 nice -sized pillows, I decided to go with a different color scheme and used different pillow covers for them instead.One of my favorite ways to accessorize is to use textured throws and mixing fun pillows. This velvet and gold foiled pillow from Whitney J Decor adds a bit of glam to the space. You'll probably recognize some of the other pillow covers from elsewhere in my home becasue I tend to keep a similar color pallet throughout--which makes your home more cohesive, and allows for swapping things out from one room to the next. The kids have really enjoyed this sofa so far, and have made themselves right at home on it. It's got nice cushions which are on the firmer side, but not too firm for comfortable vegging out, and the material is so soft! Although the space is small, having an "L" shaped sectional still allows for lots of space for playing cars, lounging on the floor, or pillow forts. but we are truly in love with this space now. I love coming down to get cozy with my family! Thank you so much for stopping by friends, I hope you enjoyed my reveal! Oh wow,wow,wow,wow,wow!!! You really transformed this space. It's amazing how the sofa made the room appear to be larger. Adding the wall shelving was on point- being able to showcase all your goodies and yet have it stylish was a win-win. I clearly see how your family is going to love hanging out down there.. and btw.. you have the most beautiful children.. I see how you have a warm loving home. God bless..
Carli! It's so beautiful! You did an amazing job and I can't wait for the shelving tutorial. So great! Awww, thank you Jessica! I just love it now, so much! Such a beautiful space for your family!! So fun to see your children enjoying their new space. Thank you Brandi, I can't believe how long I underestimated this space! You did an AMAZING job Carli!! I absolutely love it. I hope you don't mind if I steal the shelf idea for somewhere in my house. Not sure yet, but somewhere:) But again, great job. Gorgeous! Yay!!! Thank you Erin!!!!!!!!!! yes, Maybe you can put some shelves in your basement! This is really pretty Carli, you never disappoint! Fabulous work!! Every inch is decorated and accessorized so well. You rocked it again! Carli this is absolutely gorgeous!!!! I I've everything about your basement ! The furniture, the shelving ... I can't choose !! Great job !! Thank you Nicole!!!!! It's so weird how the sectional and the shelving made the space seem bigger! we just love it sooo much! This is the third time I've come back to look at this post. You just did such a great job with this room. I can't get over how good it looks and I love that you proved how fabulous a space can look even though it's not a ginormous room with cathedral ceilings. Love love love it. Oh wow, that is so sweet of you to say Kate! I think the fact that it is such a tiny space it definitely discouraged me from really trying something like this sooner! I really appreciate your sweet, sweet words! Your basement is EVERYTHING, Carli! I wish there was a Ray & Flannigan near me, because I'm seriously crushing on your sectional. I'm over here stumped on how quickly you pulled this together! Love love love this space! Where did you get those lovely metal and wood tables and what color paint is on your walls? Hello, The rug is from Target, I've listed the affiliate link below. I Love this room. I just bought the same sectional and was searching the internet for inspiration on area rugs to pair with it. Where did you find your area rug? Thanks!